Invest in a light switch timer. Don’t leave your lights on at home during your entire vacation in an effort to make it look like someone is in your house. One of the best ways to keep burglars away from your home is with a light switch timer. Time the lights to turn on when it is dark and turn off around your usual bedtime. The lights turning on and off will make it seem like a human is doing the flipping, not the timer. Tell a trustworthy neighbor or friend. The best way to gain peace of mind when you’re away from your home for the week is to tell a neighbor or friend. 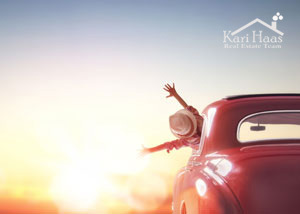 Entice them with some fresh baked goods or a souvenir from your trip, and ask them to drive by your home every other day to check up on your house. You can even ask them to bring in your mail or water your plants too.